“Look at this guy wearing white bucks! He’s got white bucks on and the cops are dragging him away by the leg” exclaims Stephen Ehret, chuckling to himself as he clicks on a photograph of a 1964 San Francisco sit-in. “That’s a great picture. We need to get that up on the website,” Ehret observes. We’re sitting in Ehret’s Sausalito art studio among large-scale paintings of California landscapes. Ehret uploads scanned images to his friend’s online portfolio, which went live for the first time this year in honor of Blankfort’s 80th birthday. As Ehret clicks, Blankfort regales me with stories of his photographic adventures, “You’ve got to tell me when to stop, I could go on forever,” Blankfort laughs. In the early 1960s, “before anybody had long hair,” Blankfort got his start as a photojournalist by documenting San Francisco sit-ins. 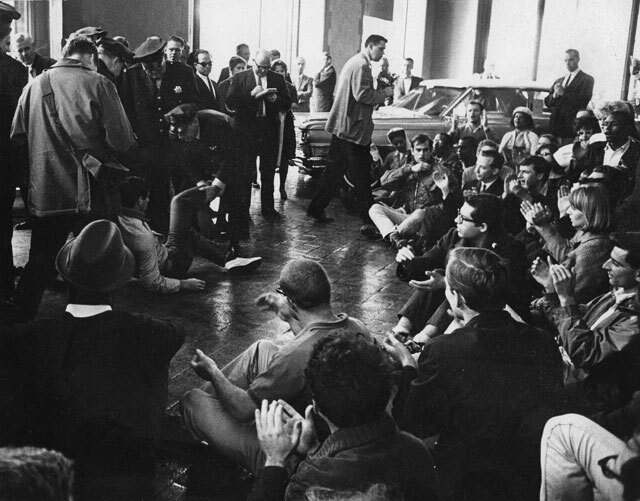 These NAACP demonstrations, like the one the buck-clad protester attended at the former Cadillac Agency on Van Ness, were a part of a critical effort to end racist hiring practices in the city, not only at car dealerships but also at hotels and restaurants. Since the beginning of his career, Blankfort’s photographs have been shown in galleries and published in periodicals, books and retrospectives around the world. After getting his teaching credential later in life, Blankfort discovered his photographs could take on new significance in the classroom. 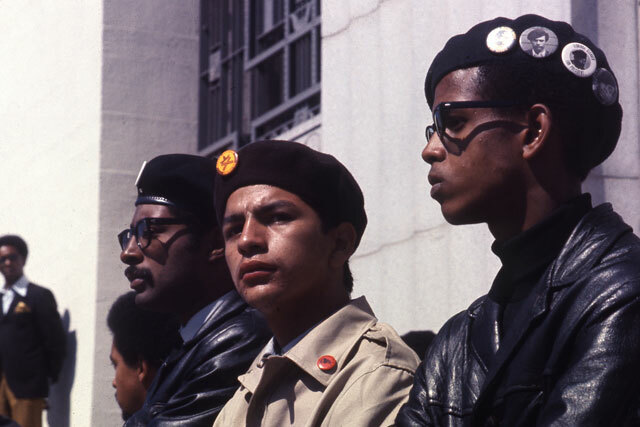 At Richmond High School, Blankfort’s pictures of the Black Panthers and the Brown Berets bridged the gap between history and modern struggles for many of his African-American and Latino students.